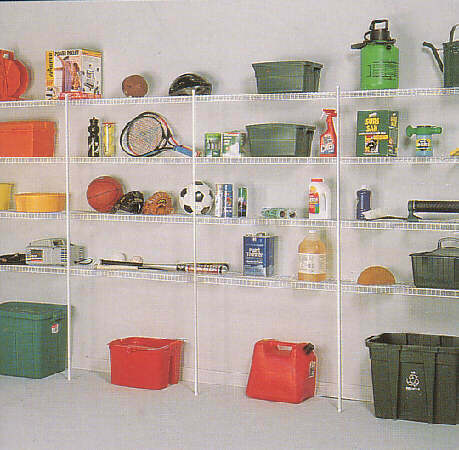 Wire or laminate shelves of many sizes are available, as are specialty racks and laminate cabinets. We also have heavy-duty Timberstrand and industrial racking, for those really heavy loads. 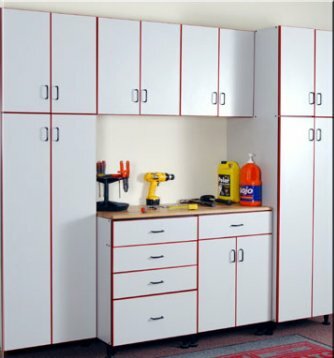 We'll space your shelves according to what you have and make sure they're firmly supported into studs.